A cat litter tray is indispensable, even if you are short of space. 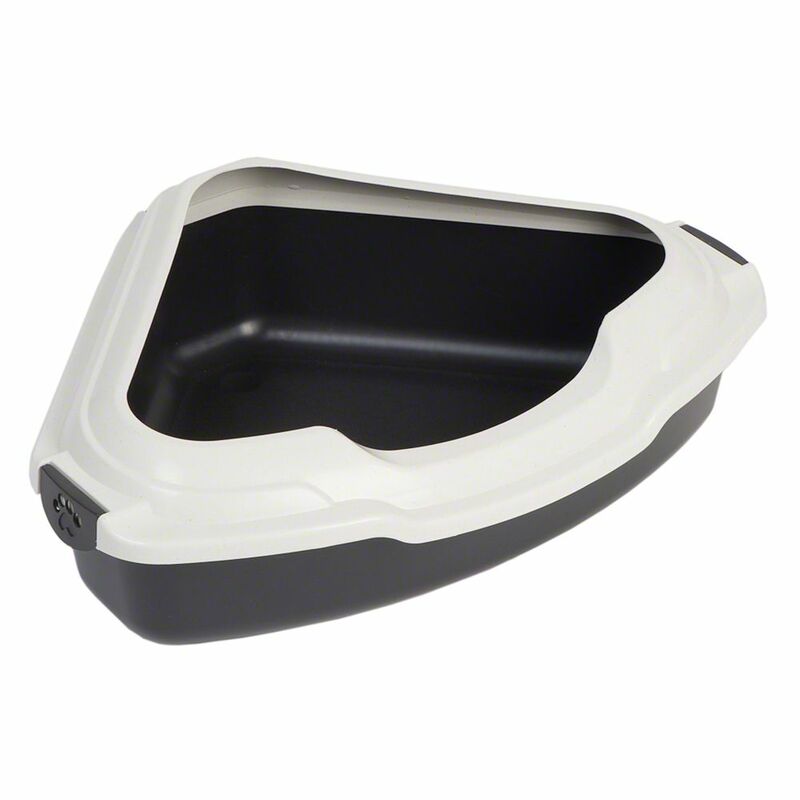 This corner-shaped cat litter tray is space-saving and can be tucked into the corner of the room. It is the right height for cats to be able to jump in easily and is spacious enough for your cat not to feel cramped when doing its busineΒ The protective edge stops the litter from flying out so your cat cannot track it around the house. The edge is attached to the tray with sturdy clips. It is easy to remove when you want to change the litter or clean the tray. And if you have a kitten or your cat is getting old, you can simply remove it to provide your cat with low acceΒ. The Corner Litter Tray at a glance: Colour of tray: anthracite Colour of edge: stippled cream Space-saving corner-shape With removable edge Dimensions: Total: 56 x 43 x 16 cm (L x W x H) Entry height: 12 cm Tray height 12 cm, entry height: 11 cm.